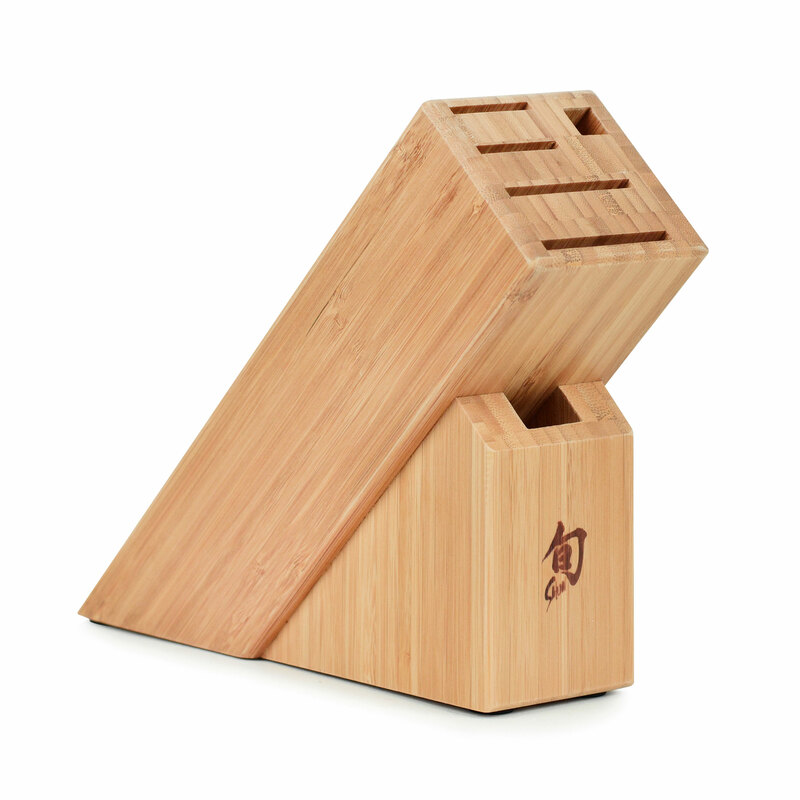 This Shun Slimline Bamboo Knife Block is ideal for kitchens with limited counter space. The block accommodates up to six pieces of Shun kitchen cutlery. 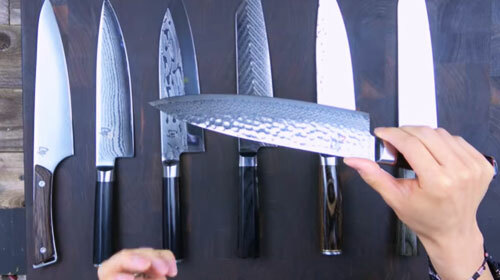 There are slots for two larger knives and two for medium or small knives. There's even a slot for the honing steel needed for maintaining your edge as well as one to accommodate kitchen shears. 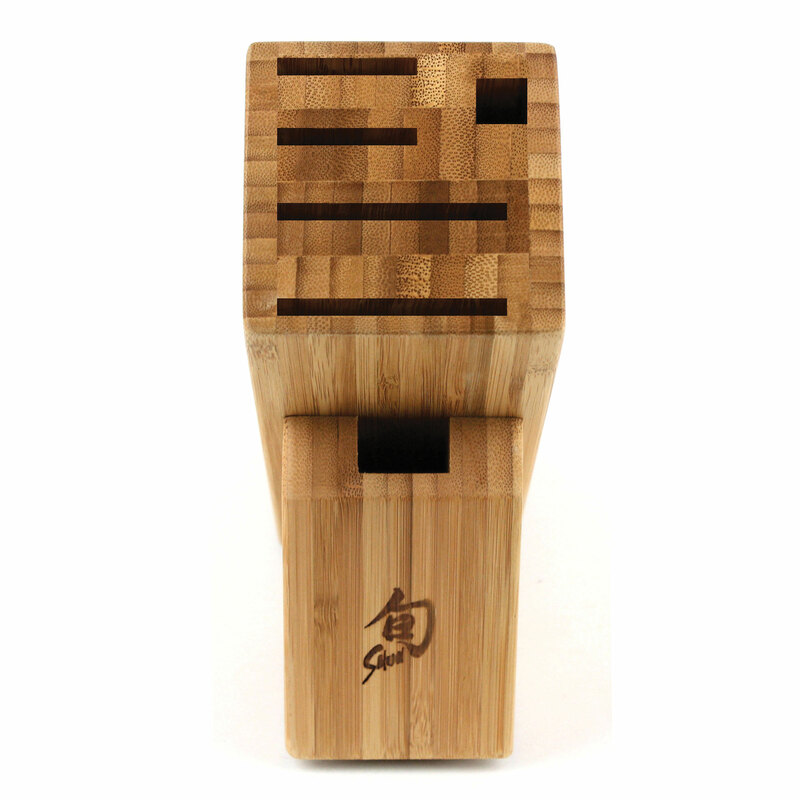 The beautiful bamboo block is durable and easy care. 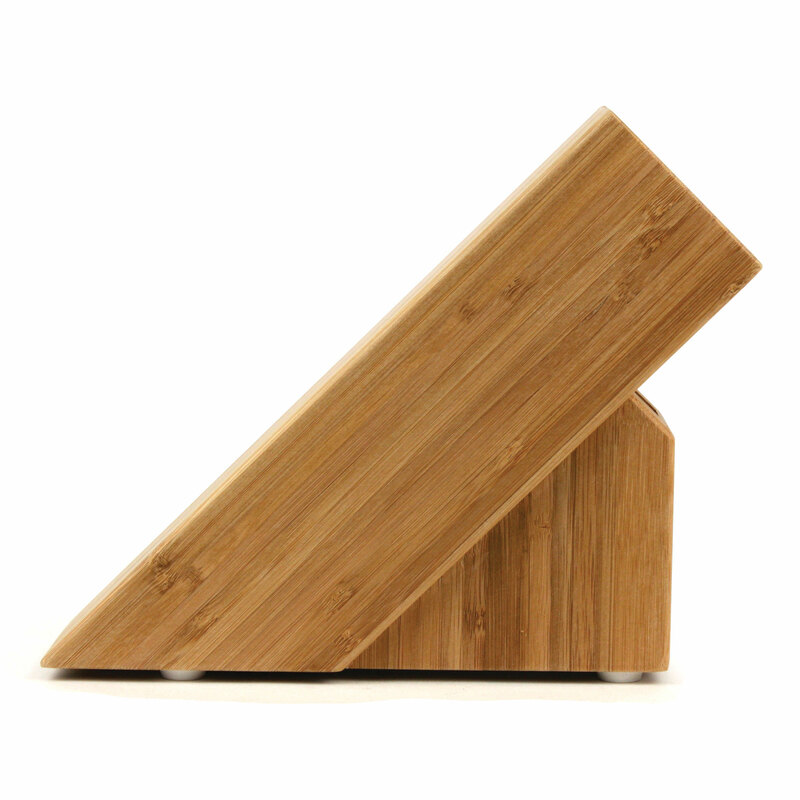 A renewable resource, bamboo absorbs very little moisture, so it doesn't shrink or swell like other hardwoods, making it ideal for kitchen accessories. The top row can hold up to a 10" knife and 10" sharpening steel, 2nd row can hold up to a 9.5" knife, 3rd row can hold up to a 8.5" knife, 4th row can hold up to a 7.5" knife, the shears slot can hold up to 4.5 shears". 1st Row Slot: 1-3/8 x 1/8"
2nd Row Slot: 1-3/8 x 1/8"
3rd Row Slot: 2-1/8 x 1/8"
4th Row Slot: 2-1/8 x 1/8"
Sharpening Steel Slot: 0.5 x 0.5"
Shears Slot: 1 x 0.5"
https://www.cutleryandmore.com/shun/slimline-bamboo-knife-block-p136565 36565 Shun 6 Slot Slimline Knife Block https://cdn.cutleryandmore.com/products/large/36565.jpg 29.9500 USD InStock /Cutlery/Knife Blocks & Holders This Shun Slimline Bamboo Knife Block is ideal for kitchens with limited counter space. 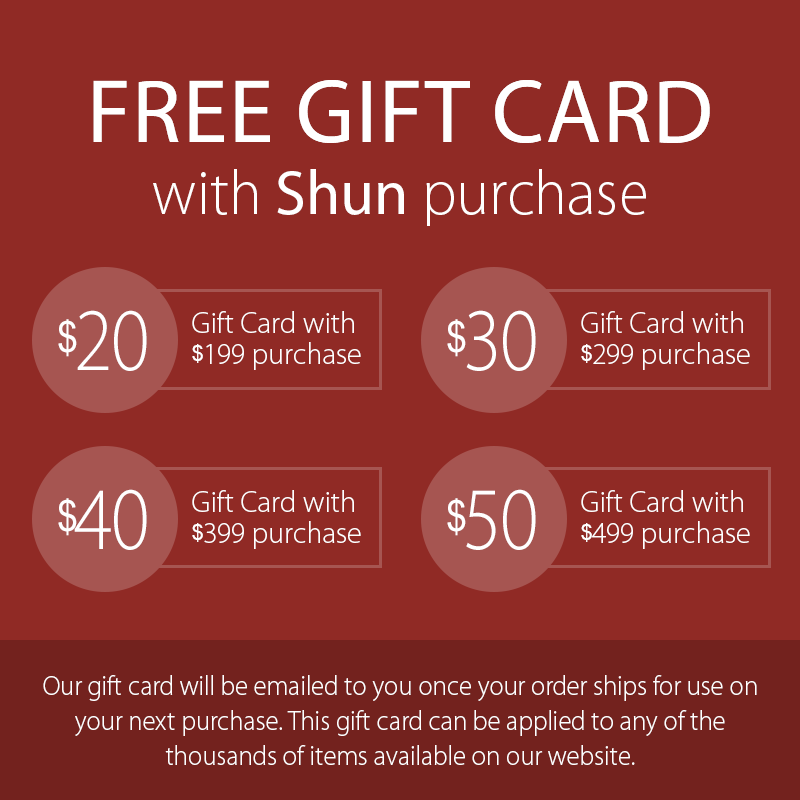 The block accommodates up to six pieces of Shun kitchen cutlery. There are slots for two larger knives and two for medium or small knives. There's even a slot for the honing steel needed for maintaining your edge as well as one to accommodate kitchen shears. 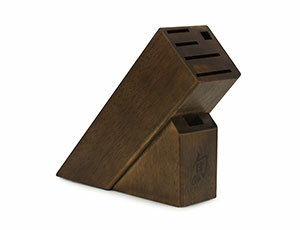 The beautiful bamboo block is durable and easy care. 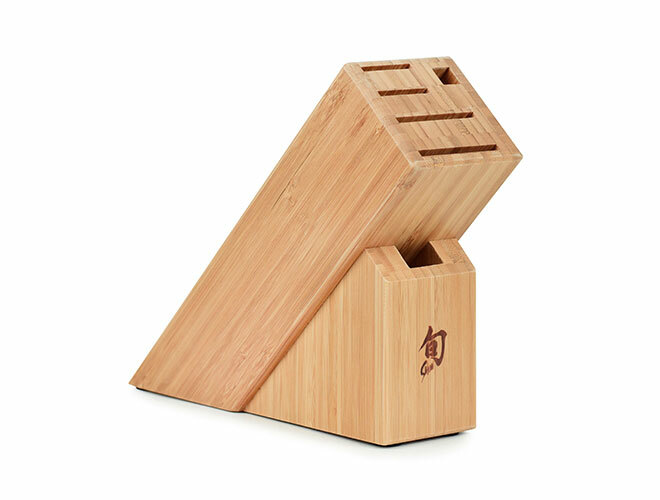 A renewable resource, bamboo absorbs very little moisture, so it doesn't shrink or swell like other hardwoods, making it ideal for kitchen accessories.